Bahraini oil field, Photo HH. Bahrain has by far the smallest economy of any member of the Gulf Cooperation Council (GCC), largely as a result of the small size of both its population and its proven oil reserves (estimated at 46,430 barrels per day). According to the CIA World Factbook, Bahrain ranks 63rd in oil production globally (est. 2010). The World Bank had estimated the gross domestic product (GDP) of the state of Bahrain to be 31.1 billions dollars, in comparison with 33.3 and 32.5 between the years 2014 and 2013, respectively. And the GDP per capita in the year 2015 had reached 24,058 US dollars. It is predicated that the growth percentage will reach 2.4%, 2.1% and 1.8% in the years 2019, 2018 and 2017. The International Monetary Fund predicts that the inflation rate in 2017 will reach 3%. Despite the plans which Bahrain had adopted to reduce spending as a result of the oil prices collapse, the World Bank predicts that the budget deficit will continue through the year 2016 and the following years to reach 16.8% from the GDP. The Bahraini government had started to undertake several procedures to balance the general budget in the year 2015; among which the specification of an upper debt ceiling for public debt, increasing taxes on tobacco and alcohol, in addition to increase fees on some governmental services. However this was not sufficient to bypass the crisis of the decrease of oil prices. This what has motivated a number of parliamentarians to suggest a law for the privatization of a number of foundations/institutions owned by the state. World Bank predicts that the rate of the GDP growth will reach 2.4% in 2016, in comparison with 1.8%, 2.1% in 2017 and 2018. The International Monetary Fund (IMF) estimated Bahrain’s GDP for 2011 (est. 2009) at USD 26.4 billion. The Worldbank indicated its GDP was USD 20,5 billion in 2009. 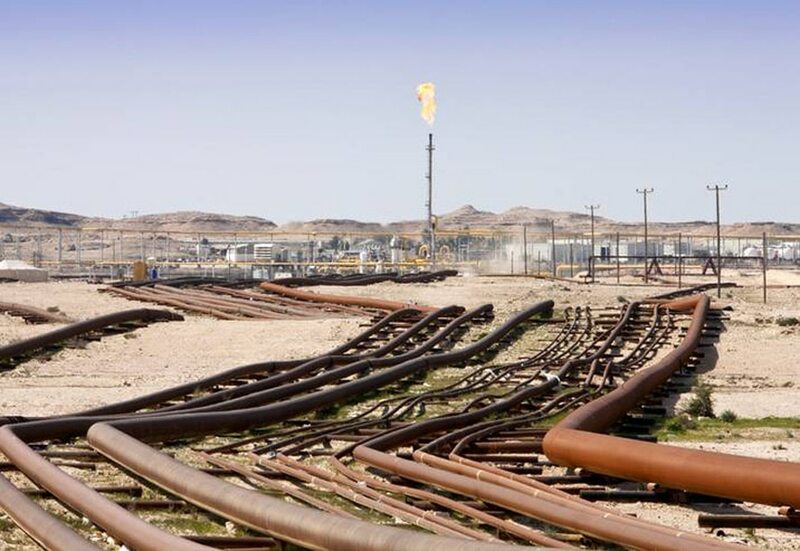 Although its crude reserves are dwindling, Bahrain still depends heavily on oil revenues, which account for over 60 percent of its export earnings and 70 percent of government revenues. 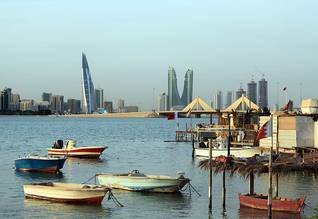 Bahrain nonetheless has one of the most diversified economies in the Gulf, with strong banking and tourism sectors. 79 percent of the population works in industry, 20 percent in services and 1 percent in agriculture. The government is by far the country’s largest employer. In per capita terms, Bahrain’s economy ranks much higher. According to the CIA World Factbook, in 2011 its per capita GDP was USD 27,300 – above Saudi Arabia (USD 24,000) but well below Qatar (USD 102,700) and the United Arab Emirates (USD 48,500). 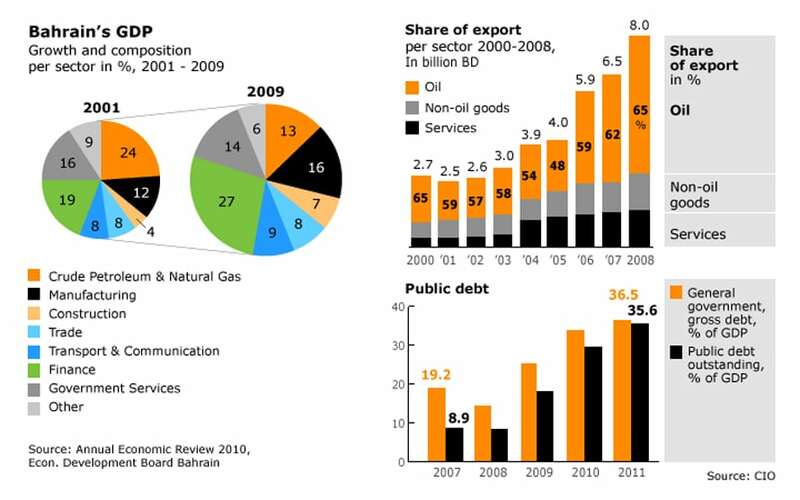 Bahrain, the first Gulf State to begin running out of oil, has also led the region in economic diversification. Bahrain differs from its neighbours by exporting refined petroleum products rather than crude oil. It built its first oil refinery in 1936, on the island of Sitra, two years before oil was discovered in Saudi Arabia and Kuwait (Qatar followed in 1939, Abu Dhabi in 1958, Dubai in 1966, and Oman in 1967). By 1945 it was refining not only domestically produced oil but also large quantities of crude oil from the Eastern Province of Saudi Arabia. Because the oil industry offered higher and steadier earnings, most local palm cultivators and pearl divers switched from their old occupations to careers in oil, in Bahrain as well as abroad. The pearl-fishing industry had collapsed completely by the 1950s, but palm cultivation survived for a while, using cheap Omani immigrant labour. Beginning in the 1960s, however, the age-old palm plantations west and south of Manama were cleared to make way for industrial parks, residential suburbs, and fruit and vegetable gardens, a reflection of growing industrialization and urbanization, as well as new dietary habits. For an in-depth overview of Bahrain’s energy sector click on the button below. With an eye on the country’s meagre oil resources – then expected to be exhausted by the 1980s – the government built a huge aluminium smelter. From 1971 on, ALBA has produced aluminium products from alumina pellets imported from Australia, using local natural gas as its energy source. 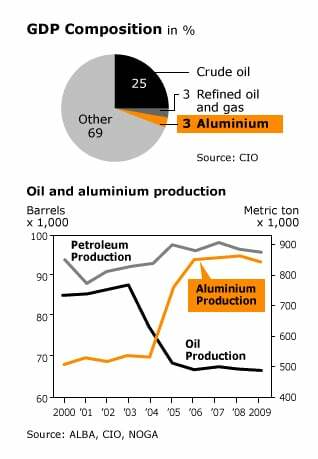 Bahrain is now the largest aluminium smelter in the world, producing 800,000 tons annually for the Middle Eastern and Asian markets. In the wake of ALBA’s success, a whole range of local downstream aluminium industries have sprung up. These include the production of atomized aluminium powder and mechanical parts and alloys for the Western and Asian automotive and aerospace industries. Another important government initiative was the opening in 1977 of a dry dock for supertankers, the Arab Shipbuilding and Repair Yard (ASRY). Financed by OAPEC, it was intended partly to provide Gulf Arabs with modern technical and managerial skills. When civil war broke out in Lebanon in 1975, Bahrain attracted some of the financial business fleeing that country, helped, in part, by a spectacular boom in bank lending to the region’s petroleum exporters in the late 1970s and early 1980s, by the country’s proximity to the historically closed economy of Saudi Arabia, and by its own relatively liberal cultural climate. Most important, however, was the government’s decision to offer foreign banks an exemption from the legal requirements imposed on domestic banks if they used Bahrain as a base for their offshore business. The establishment of many offshore banking units (OBUs) transformed Bahrain into the financial centre of the Gulf. The OBUs not only finance imports into the region but also issue performance bonds for regional commercial projects. In addition, the Bahrain Monetary Agency promoted Bahrain as a centre for Islamic finance. By the turn of the millennium, the country had become the main centre for Islamic banking in the Gulf. By the end of the decade, the banking and finance sector had become the largest non-hydrocarbon sector of the nation’s economy and the largest private employer in the country. Bahrain’s financial sector was damaged by the financial crisis of 2008. Bahrain-based banks, such as the Arab Banking Corporation and the Gulf International, were among the hardest hit in the region by write-downs linked to sub-prime loans. The government was forced to inject USD 150 million into the local banking sector. The country’s eighteen Islamic banks, less speculative in nature, fared better. The political unrest in 2011 caused further damage to this sector. The offshore banking sector began talking about moving to Dubai or Doha. Investor confidence is difficult to rebuild: Lebanon, for instance, never fully recovered as a financial centre following its unrest. The contribution of agriculture to Bahrain’s GDP has declined steadily over the last few decades. Apart from the attraction of more profitable economic sectors, the main reason for this decline has been the increasing salinity of natural water supplies, a deleterious side effect of rapid industrialization and urbanization. The government has tried to increase local agricultural production through irrigation projects based on desalination or treated sewage water. Tomatoes, okra, and pumpkins are the most important vegetable crops. 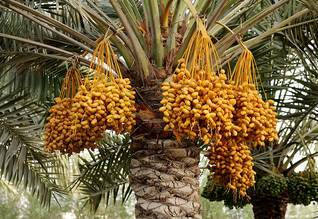 Dates are still the most important crop by weight (15,000 metric tons in 2005). According to the 2010 census, 1.2 percent of Bahrain’s total area was used for crops. Palm trees occupied the largest portion of the cultivated area, followed by tomatoes, wheat, and onions. In 1966 the government established the Bahrain Fishing Company as part of its diversification program. It processed locally caught shrimp for export to the Asian and European markets. By 1979 it had to cease its activities because pollution of the Gulf waters had led to an almost total disappearance of shrimp. There have since been many initiatives to revive the industry, and in 2006 Bahrain exported 1 million kilos of shrimp, worth a mere 0.2 percent of the country’s total non-oil export earnings. The other catches, such as crabs, groupers, and rabbit fish, are produced almost exclusively for the domestic market. The Manama harbour, Photo Shutterstock. In 2006, about 4,100 people (1.2 percent of the labour force) worked in the agriculture and fishing sectors combined. Of these workers, 93 percent were non-citizens and 98 percent were male. The fishing sector contributed 0.13 percent to Bahrain’s GDP. In the first decade of the 20th century, tourism was Bahrain’s fastest-growing industry. Since the late 1990s the government has worked to attract and provide facilities for foreign visitors. A special Directorate for Tourism Affairs was established in the Ministry of Culture to promote Bahrain as a destination for international conferences, athletic events, and leisure activities. One of the government’s major successes was the inclusion of Bahrain on the International Grand Prix circuit. The Bahrain Formula 1 Grand Prix of 2004 was the first of its kind in the Middle East, and it succeeded in its stated aim of bringing international attention to the kingdom. In the same period Bahrain began building exclusive leisure resorts, including multi-million-dollar projects, such as the artificial al-Lulu and Amwaj Islands, the Durrat al-Bahrain ‘self-contained city’ project on the southern tip of Bahrain Island, the al-Areen Desert Spa and Resort in its centre, and large-scale touristic development of the Hawar islands. By 2007, 5.2 million people were visiting Bahrain annually, in the recreational and conference markets combined. Most (94 percent) came from other Arab countries; of the remaining 6 percent, 72 percent were Europeans, 13 percent Americans, and 12 percent non-Arab Asians. Of these visitors, 1.3 million stayed an average of 1.9 days in the nation’s 96 hotels, suggesting that most were Saudi day-trippers and weekend visitors. The most striking aspect of tourism in Bahrain is the fact that the country’s cultural sights tend to be ignored. The National Museum in Manama, Bahrain’s main cultural destination, received an unremarkable total of 87,000 visitors in 2006. The nation’s other museums can count on only a few thousand visitors per year. The al-Areen Wildlife Park is the fastest growing ‘official’ tourism site, with almost 72,000 visitors in 2006. The tourism industry was devastated by the unrest of the Arab Spring. The Formula 1 Grand Prix was cancelled in 2011, along with other tourism-related events. Some cruise ships skipped Bahrain as a port of call, and shops, restaurants, and taxis sat empty. This sector may be slow to revive. 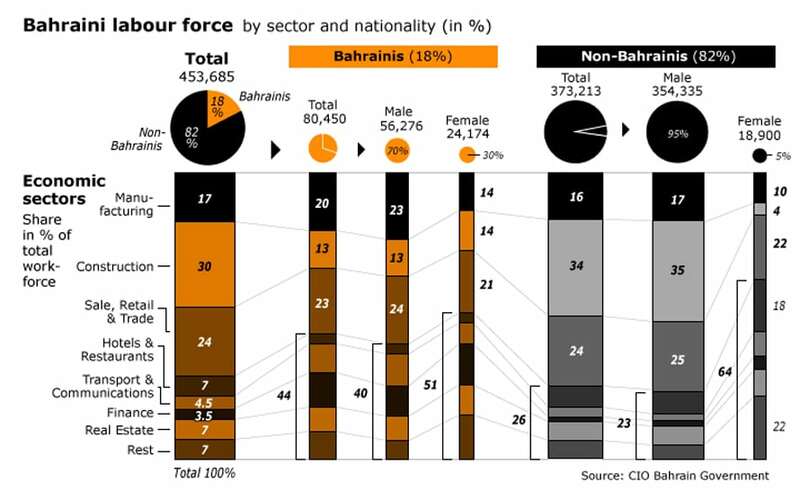 According to the CIA World Factbook, the unemployment rate of Bahrain’s youth (15-24 years of age) was 20.1 percent in 2011; other unofficial estimates are higher. According to the Worldbank, for example, the unemployment rate of youth was 28.3 percent in 2004. Whatever the exact number of unemployed in the country, the Bahraini government is clearly worried about the effects of the jobs shortage on domestic stability. As the unrest in 2011 demonstrated, the most vulnerable in the job market tend to be Shiite youth, already disgruntled by real or perceived discrimination on the job market. Unemployment contributed significantly to the Arab Spring. The government’s reprisals against those involved in or suspected of involvement in the unrest led it to fire more than a thousand people. Local citizen job-seekers have always greatly preferred a safe, well paid, and not-too-demanding public-sector desk job, but the country’s public sector will clearly be unable to absorb the estimated 40,000 college-educated Bahrainis expected to enter the job market over the next ten years. 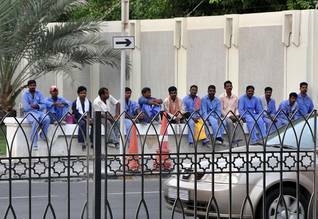 Because foreign workers are generally cheaper and more dependent on their employers, it is difficult convince the private sector to ‘Bahrainize’ itself voluntarily. The government has tried to tackle this problem by improving education in the country, introducing higher-level vocational training, and raising the costs of hiring foreign labour. 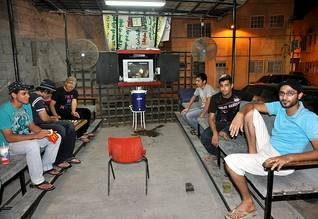 Young Bahrainis in the Manama Souq, Photo Fanack. To reform the nation’s labour market, the government must overcome the vested interests of the powerful local business community, which is closely linked to Prime Minister Khalifa bin Salman Al Khalifa. Economic reform is thus hampered by the rivalry between the Prime Minister and the King. The King created an Economic Development Board (EDB), which is now chaired by his reform-minded son, Crown Prince Salman. He also established the National Oil and Gas Authority (NOGA), which is chaired by a close confidant, Abdulhussain bin Ali Mirza. While the energy sector survived the Arab Spring unscathed, the tourism sector was devastated and Bahrain’s reputation as a banking and trading centre damaged by the political unrest. Compared to its relatively stable neighbours, the uprising and government response made it less attractive for foreign direct investment. The economy shrank slightly in the first quarter but rebounded by mid-2011. The unrest also prompted the government to try to quell dissent by promising massive government spending. This spending, in turn, was contingent on continuing high oil prices and on the delivery of a multi-million-dollar aid package from the Gulf Cooperation Council. The Arab Spring thus left Bahrain far more vulnerable to oil-price shocks and Saudi pressure.